SRS has been selected by the BRIGAID (BRIdging the GAp for Innovations in Disaster resilience) EU Horizon 2020 (2016-2020) project as an effective tool for end-users in resilience to floods, droughts and extreme weather. The Union of Municipalities of Golfo Paradiso (Italy) has been awarded with the Special Enterprise Award “ENEL – Resilience for the sustainable development and land protection” of the CRESCO AWARDS Sustainable Cities program. Artys participated in the GELSO (GEstione Locale per la Sostenibilità) project “Making Global Goals Local Practice” promoted by ISPRA (Italian National Institute for Environmental Protection and Research) by presenting Smart Rainfall System as a best practice during the European Sustainable Development Week (30 May – 5 June 2017). SRS has been included in the GELSO database including the local sustainability best practices. Smart System Rainfall was selected by a team of 60 evaluators (representatives of partner companies, shareholders of ItaliaCamp, lecturers from the universities) among the 19 projects that have obtained the best score with respect to the Call “Infrastructures” of the “Nice to Meet You” Challenge Prize, promoted by ItaliaCamp under the patronage of the Ministry of Infrastructures and Transports – MIT; therefore, it was presented on Friday, November 25, 2016 in the MIT site, in front of ministerial representatives, project partners and sectors’ stakeholders. The k-NOW-casting project (for the development of a decision support tool for the operational management of the risk induced by intense rainfall, based on the use of SRS) was placed in the top 10 (out of 700 applications from all over Europe) to the R.O.M.E. (Rome Outstanding Maker of Europe) competition Prize, the Call for Makers of the Maker Faire Rome 2016. Artys, presenting the k-NOW-casting project (for the development of a decision support tool for the operational management of the risk induced by intense rainfall, based on the use of SRS) was placed in the first Top 500 startups which candidate to Hello Tomorrow, the world competition which was attended by about 3,500 companies. Artys, presenting SRS, got the 3rd place at the national competition Heroes Prize 2016 which was attended by about 200 companies and took place in the context of “HEROES, meet in Maratea” the first Euro-Mediterranean Coinnovation Festival; an event dedicated to the future and innovation that took place September 21 to 23 at the Grand Hotel Pianeta Maratea, in Basilicata (Italy) and was attended by business leaders, investors and business angels, intellectual, creative, policy makers and startups. Artys is among the 5 winners of the Startup Development Program, promoted as part of the Italian Innovation Hub, sponsored by the Foundation to assist and support valuable startups and spin-off in their process of consolidation and technological-industrial development and management, enabling connections necessary to facilitate the matching between the supply of innovation and potential partners, customers and investors. Smart Rainfall System, on over 75 applications, was among the 12 finalists of the Call4Ideas 2015 “The startups to innovate PA”, promoted by Forum PA with the collaboration Startupbusiness, PoliHub (the incubator of the Politecnico of Milan) and Chamber of Commerce Rome, aimed at identifying and support the most interesting and innovative business projects which provide technology and solutions for the Public Administration and was presented at the FORUM PA 2016 in Rome (May 26, Palazzo dei Congressi). SRS has been awarded with the 2nd place in the National Award for Innovation in ICT Perotto Zucca, which selects ideas that materialize an innovative use of ICT in the areas of information technology and communications, and has been awarded by the Evaluation Committee on April 7, 2016 in Genoa, under the “Life Tech Forum” at the CISEF (International Centre for Studies and Training Germana Gaslini). Artys has been selected among the 10 finalists at the of the national Cardif Open-F@b award, the Call4Ideas promoted by BNP Paribas Cardif in collaboration with PoliHub (the incubator of the Politecnico of Milan), which rewards and supports the ideas and business projects more innovative in the Internet of Things and / or big data, with specific impacts on Insurance Business. 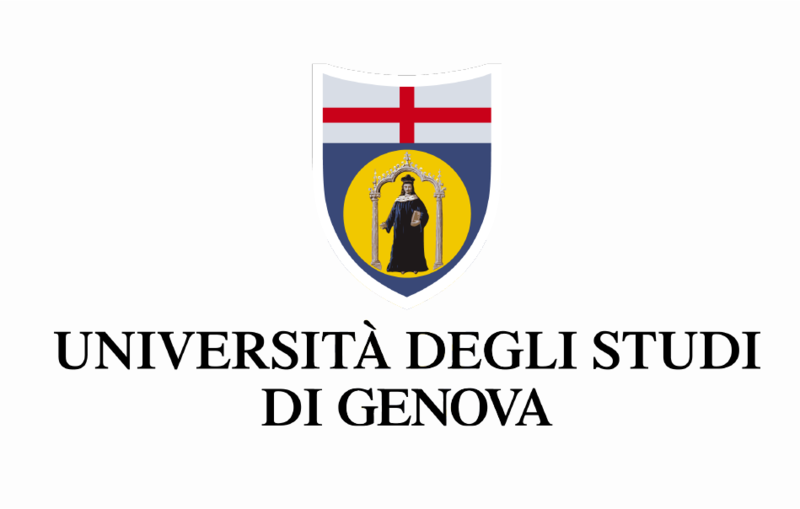 The committee for the evaluation of the Ligurian new companies’ excellence in the world composed by the Liguria Region, ARSEL Liguria (Regional Agency for Educational Services and Labour), University of Genoa, Genoa City Metro, URS Liguria (Regional Education Office of Liguria), Genoa Chamber of Commerce – has selected Artys as one of the best 2015 start-ups for the ability to innovate, the professional talent and for its contribution to a strategic issue for the preservation of the territory, regionally and nationally. Artys was then awarded a plaque for “excellence, talent and merit”, delivered by the regional Councillor for Communication, Education, Youth and Cultural, during the Night of Talents, which was held in Genoa on 04/11/2015. Artys has been selected in September 2015 at the ItaliaCamp Call for Ideas – EXPO Milan 2015, gaining the opportunity to participate to the “Vivaio delle Idee” initiative and present SRS at the EXPO stand of the Ministry of Agriculture, Food and Forestry. As result of this selection, SRS is one of the two project (among almost 400) presented at the ItaliaCamp 2015 steering committee (December 14), in the boardroom of ministers at Chigi Palace in Rome. Artys has submitted SRS to the Call4ideas 2015 – Startup and Startupper for the digitalization of the Public Administration, an initiative sponsored by Forum PA in cooperation with the Chamber of Commerce of Rome and PoliHub (the incubator of the Politecnico of Milan), and was among the 10 winner companies selected to present their project in FORUM PA 2015 (May 26, at the Palazzo dei Congressi, Rome). Artys’ team was third at the Start Cup Prize, a competition between innovative business ideas emerging from research activities conducted in the University of Genoa. Objective of the Start Cup is to support the spread of corporate culture, contributing to the emergence of new innovative and high-tech start-up. The SRS project has been selected among the 10 projects winners of the “How to exploit the results of research to carry smart technologies?” call, organised by the Forum PA (a company that fosters meetings and debates among public administration, companies and citizens about innovation themes), and has been presented in a stand inside the “Technologies and solutions for the Smart City” area, during the event Smart City Exhibition 2014 (October 22 to 24 – Bologna Fair, Italy), which collected the most advanced and significant experience in the Smart City field. Artys won a support for the creation by the UNITI project, initiated in 2007 by the University of Genoa, in collaboration with the incubator BIC Liguria (belonging to FILSE, Ligurian financial institution for economic development), and funded by the Ministry of Economic Development, as part of an initiative to support to the creation of innovative and high-tech companies.